Most motorcycle owners will tend to keep a reliable roadside assistance or towing companies number in their phone who's experienced with motorcycles. This is because motorcycles require specialists who understand motorcycles from the inside out. 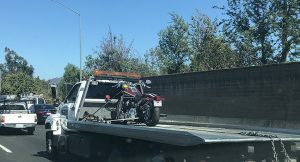 Hollywood Towing Service has helped many bikers and riders with 24 hour motorcycle towing services within the Hollywood area. Our technicians will know right off the bat where to fasten your bike to avoid any scratches or dents. They will always give your bike the white glove treatment since motorcycles are an investment towards their owners. We have many tow trucks available within the Hollywood and LA area ready to assist you whenever you need fast 24 hour motorcycle towing. We tend to stick our neck out to help bikers with affordable motorcycle towing in Hollywood and the Los Angeles area. Our goal is to help bikers with the best possible rates in motorcycle towing and roadside assistance. All of our technicians are screened and have well over a decades worth of experience within towing motorcycles. Once they arrive they will immediately get to work and tow you to where you need to be. 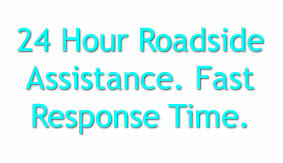 If you need roadside assistance be sure to let our phone operators know in advance so they can relay the info to our towing technicians. This will help expedite your service and help you save more time. Give us a call when you need affordable motorcycle towing in Hollywood our operators and technicians are here 24 hours a day to assist you. Why pay more for towing services? Simply give us a call and get the same professional towing service for the lowest possible rates. There is no reason to be overcharged when you can utilize our cheap motorcycle towing services and save money towards other things in life. Saving money is important during these high inflation times we live in and there's no saying when some extra money will come in handy. So do your motorcycle and wallet a favor, save money on professional motorcycle towing services. 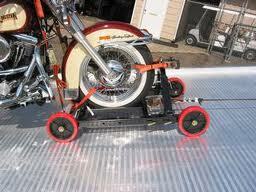 Hollywood Towing Service has helped bikers and riders for well over a decade by offering cheap towing. It's to no surprise why we've grown as a company over the years only to expand our services to help bikers on a mass scale. Our phone operators are here at all hours to assist you anytime you need our help.